Ever sit and dream what you would buy for yourself if you won the lottery? Don't worry, it's not selfish or silly - it's totes normal! So.....what would you buy if money was no object? 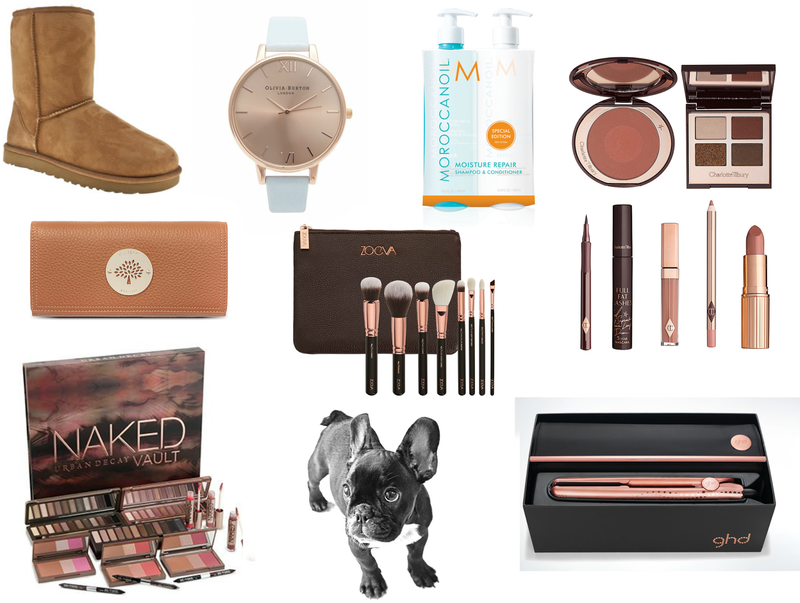 I thought it would be super fun to do a totally unaffordable wishlist, yup.... I really would love these beautiful things but... right now - it's not going to happen! I owned these until last week and I miss them already! The pair I had lasted for 7 years (amazing right?) but it was about time I said goodbye to them but I am already desperate for a new pair to replace them - if only I had £150 spare eh? I have the original set from Zoeva but these are just so so pretty - I think they are every bloggers dream! I've had my ghd's for 10 years.... literally 10 years - I got them for Christmas 2004, so it's probably about time I invested in some new ones! These are again rose gold.... jeez I'm so cliche, but they are so pretty! I have been using the oil from this brand for over a year now and I love it... the only problem is the price! With my hair getting longer and using more and more each time I wash my hair it becomes expensive! Knowing how much I love the oil I would LOVE to try out the shampoo and conditioner versions! Could I be anymore cliche and blogger obvious? Yes it's sold out, and yes none of us could afford it but ..... I need it. With my Ted Baker purse slowly wearing away, a new pretty holder for my money and cards would be high up on my list after a lottery win! This wallet from Mulberry is a beaut! I've been staring at Olivia Burton watches online for months now - I love the pretty, dainty desgins! I think you all know now that owning a French Bulldog is pretty much a lifelong dream of mine - top of the bucket list! I am still yet to try anything from the infamous Charlotte Tilbury... and it's killing me! Everything I've seen on other blogs and youtube looks amazing so I would definitely have to invest in some! If you won the lottery what would be some of your first things you'd treat yourself too? All the rose gold!Yesssssss. :D Hahahaha! I love the classic Ugg boots - they are so lovely. I own those rose gold Zoeva brushes!! I always dream about winning the lottery and you've picked everything I would love to buy! Especially the GHD's! I think I might be a bit boring with lottery spends. If I won big the first thing I'd be looking into is a flat. Then maybe a nice Mulberry bag and Burberry coat.